GGR CUSTOM CABANETS is a Naples family owned business. The owners were inspired to begin a business that offered the very best Fine American Cabinetry combined with friendly and professional service. The Design Studio is able to offer a diverse and comprehensive product selection. Our experienced in-house design assistance and product specialist team ensure a flawless implementation of your ideas. 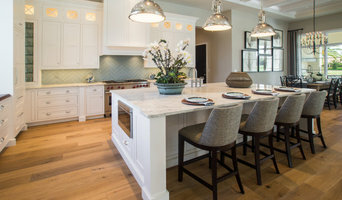 We specialize in cabinetry for residential and commercial properties and have worked in the finest communities throughout Southwest Florida, the Florida Keys and across the United States. 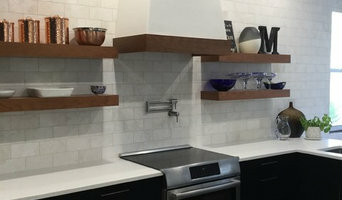 At SOHO Kitchens and Design, our talented and professional staff consistently provides exceptional products and services to our customers; from design concept to installation. At Abbot Hill Cabinetry, we offer our clients custom, hand crafted cabinetry. With over 40 years of experience, we provide cabinetry solutions for kitchens, bathrooms, built-ins, wet bars, and more! Full-service cabinet company in Southwest Florida. Family-owned and operated. Over 30 years in the industry. Quality cabinetry at affordable pricing. We are focused on providing our clients with the finest quality products, backed by our superior service and support, at the most affordable prices for every lifestyle. Award winning interior designer with 27 years of experience, who specializes in custom interior work including: carpets, furniture, and special effects. Through our expertise in materials, quality, design, and finishes we are confident Kitchen and Bathroom Cabinets can help you identify the right selections while still maintaining your budget. As part of the Raymond Building Supply family of companies—locally owned and operated for over 50 years—The Design Studio is able to not only offer a diverse and comprehensive product selection, but our experienced in-house design assistance and product specialist team ensures a flawless implementation of your ideas. Our commitment to customers is built on mutual trust and respect. Since our inception, it has been our fundamental operating credo to consistently strive to provide the highest level of service and the finest products available today. Our new Naples showroom opened in March 2014 with satellite showrooms in Naples, Fort Myers and North Port-Sarasota. Our showrooms enable customers to visualize products together in one cohesive setting as if they were in their own home. Our product line selection is only limited by your imagination. We’re able to offer you one of the most diverse and comprehensive product selections in the business. Raymond Building Supply is a Green Certified Dealer of building products and is the only certified Florida recipient of the prestigious National Association of Builder Quality Assurance Certification for both supply and installation—signifying our commitment to providing the best of everything. Our focus is to provide beautiful products with superior quality & great style, while also keeping our commitment to the environment. The decisions we make are made for our loved ones & our planet. We are a high end custom cabinet shop in Fort Myers Florida which has been in business down here since 2009. We also carry two lines of cabinetry to try to meet all consumers budgets. G & W Craftsman provides a variety of reliable services and products to customers throughout Southwest Florida. We specialize in cabinets, entertainment centers, built-ins, desks, staircases & more! Open to the public as well as the architectural and interior design community, the Poggenpohl showroom offers full service kitchen design & installation – taking your dreams and making them a reality.